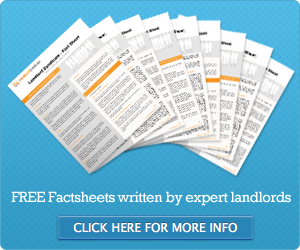 This article was first released onto the Total Landlord Insurance webpage. Buy-to-let investors should target property for foreign students once the rise in tuition fees comes into effect next year. That is the advice of Jonathan Moore, director of Easyroommate.co.uk, who explained that international students are likely to have larger budgets than those from the UK even once tuition fees go up to £9,000 a year in some places. As such, they are more likely to splash out on high end rented accommodation. “Universities that are still able to attract foreign students will undoubtedly provide excellent investment options for investors, so it’s well worth monitoring courses in towns and cities that offer these,” said Mr Moore. However, those investing in rental property will need to make sure they take all the necessary to protect their asset. This could include taking out landlord contents insurance, particularly if targeting the upper end market of the market and so providing high value equipment and decor for tenants. Meanwhile, lettings agent Belvoir has said that it has seen a boom in tenant demand in the Birmingham and West Midlands region in recent months, largely driven by people from abroad coming to the UK to study. “We recently rented out 45 properties in one month and tenants are actually now taking on properties without even viewing the property, but simply agreeing to apartments after looking at pictures and marketing material on the Belvoir website,” the agency’s Major Mahil told Propertytalk Live.